Get your holiday shopping started with 20% off our healthy products! Supplements & Vitamins, Shower Steamers, Bath Bombs, Myofascial Balls, Foam Rollers, Thera Bands, RXBars, Pillows, Orthotics, Arch Supports, Ice Packs, Sit Back Rests, Cervical Traction Kits, Bio Freeze, Arnica Gel, Protein Powder, Massage Gift Cards, Stretching Gift Cards, Personal Training Sessions, Holistic Health Coaching 4-Week Program. Scroll through to see some of our products. Check Out Our Limited Time Holiday Items! Fill your home with the inviting scent of Holiday Joy essential oil blend. The warm, sweet aroma of Holiday Joy creates a welcoming environment for holiday gatherings and can be diffused everyday to purify the air and uplift the spirit. This proprietary blend combines Wild Orange, Cinnamon, Nutmeg, and Clove with the fresh and airy scent of Siberian and Douglas Fir, creating an essential oil blend that’s a dōTERRA Christmas tradition. Diffusing Holiday Joy throughout your home will uplift and warm your mind and body as it fills each room with the joyful scent of Christmas. Discover your grounding foundation in the delicate tones of Holiday Peace with the calming aromas of three firs—Siberian, Douglas, and Himalayan—complimented by Grapefruit, Frankincense, and Vetiver. Embrace the soothing aroma of these fir oils, reminiscent of wintertime traditions. Holiday Peace will help you find the calm during your busy holiday season. Diffuse Holiday Peace or apply to pulse points during family gatherings and holiday prep to keep the atmosphere peaceful and merry. The harmonious blend of Holiday Peace will help bring a tranquil and serene feeling to your home during the holidays. Himalayan Salt Bath Bombs Are Back! This Holiday Sale choose from Eucalyptus Mint or Lavender! Eucalyptus Mint oil is an anti-inflammatory, decongestant, and stimulant. It is perfect for walking the body up, clearing the sinuses, and reducing inflammation. Lavender oil is anti-inflammatory, wonderful for treating restlessness, and has a calming effect on the body. It is perfect for relaxing and de-stressing during this holiday season. Soak and relax in the aromatherapy of Eucalyptus Mint or Lavender Oils. Try Out Our New Shower Steamers! Aromatherapy for your shower! These are slightly different than bath bombs because they do not contain any butters for the skin. 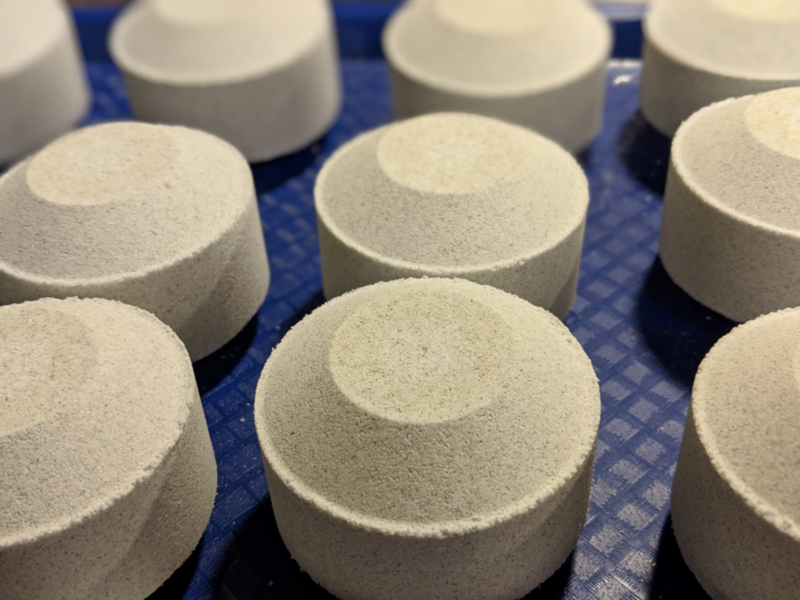 Our shower steamers have a higher percentage of essential oils, so they are not meant for direct contact with the skin, but to sit in the bottom of your shower. Shower Steamers will typically last 1-3 showers depending on length of shower and how fast you let them dissolve. Small Business Saturday, save on your massage today only!